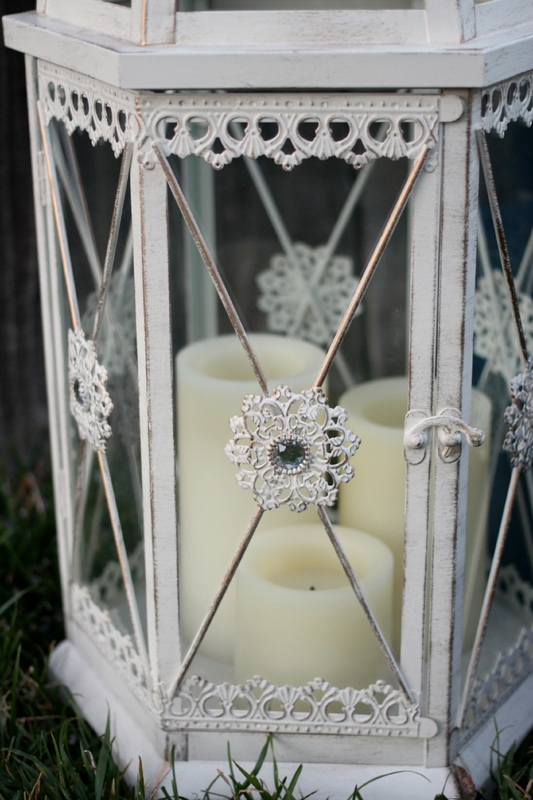 White metal and glass lanterns, with brushed gold and sparkling gemstone accents. 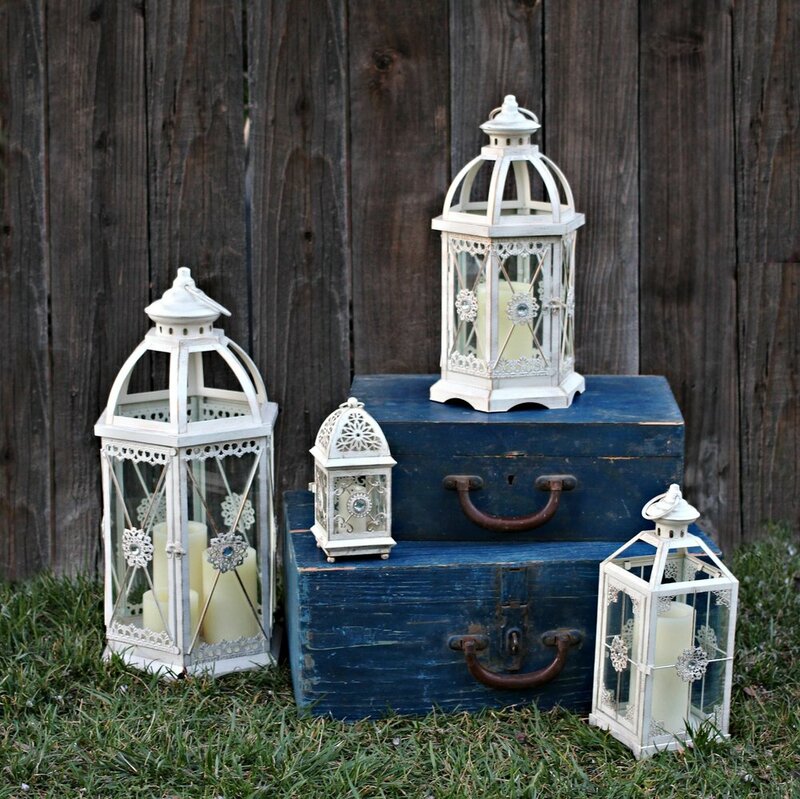 Large: 7-1/2" D x 16"H - holds a single 3"x 6" or 4"x 6" Pillar candle. Ex-Large: 9-1/2" D x 22"H - Holds three Pillar candles (as shown).